I’m currently away from home for a few days for my non-writer job, and I’m staying in a room with very bright lights. They are not “soft white,” and though they can be turned on and off in many different combinations, the quality of the light is the same. I’m pretty peaceful here, reading, writing, and editing in solitude, but I do miss the atmosphere of home. My husband laughs at me when I come into the living room when he’s been sitting in there for a few hours and adjust the lighting. Hey, I like my lighting, all right? It sets a mood. I love feeling like I’m in a calm, inviting environment, and lighting is one of the keys to that. I also should have brought my sweatpants. Mistake! I mentioned in my last post how I hate to be cold…well, the AC in this place is not fully within my control, and it’s a little chilly. I may or may not have slept in my jeans and a wool sweater each night. I was warmer that way. When I’m home, I like to have the light right, and sometimes I listen to music with headphones, though other times I write in the relative silence that is not headphones but still life. Often, I read something to transition into what I want to work on…even if I’m focused on editing. I’m replicating as many conditions as I can here. Home soon. Any other writers have your own “getting in the mood” rituals? Or anyone else have a preparation ritual for some other work? P.S. My short story, “Glass Eyes” is still free at Smashwords through tomorrow with the code SW100 at checkout through their summer sale. 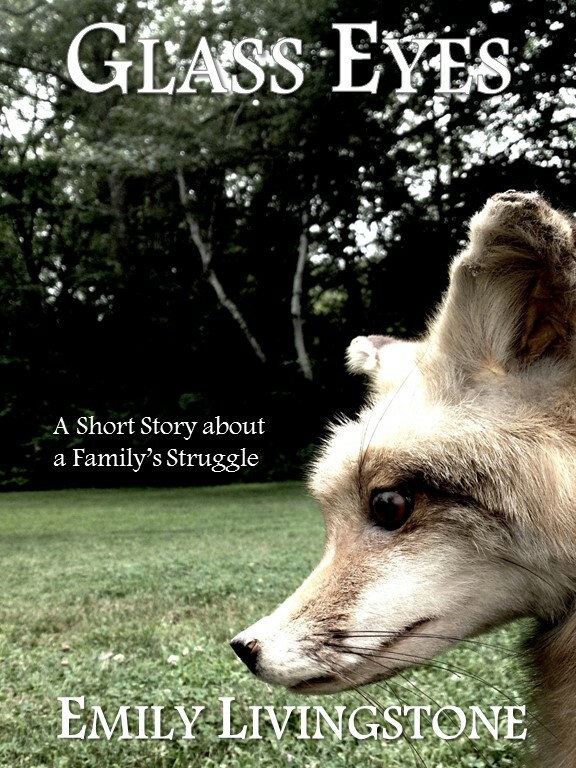 Also available for purchase for Nook at Barnes & Noble and for Kindle at Amazon. 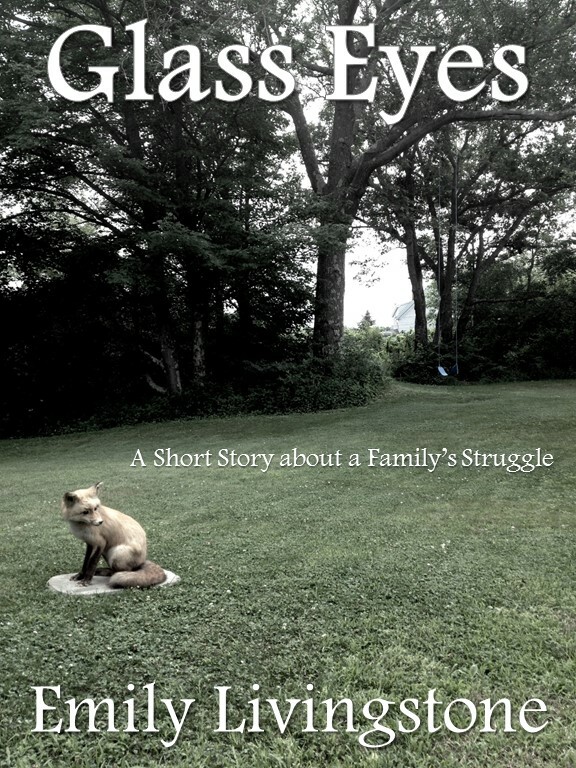 Short Story “Glass Eyes” FREE for a limited time on Smashwords! Read my short story, “Glass Eyes,” FREE on Smashwords! Just follow the directions on the page (enter the code SW100). Five-year-old Kate struggles to understand what is happening to her father and her world as she witnesses his deepening depression. 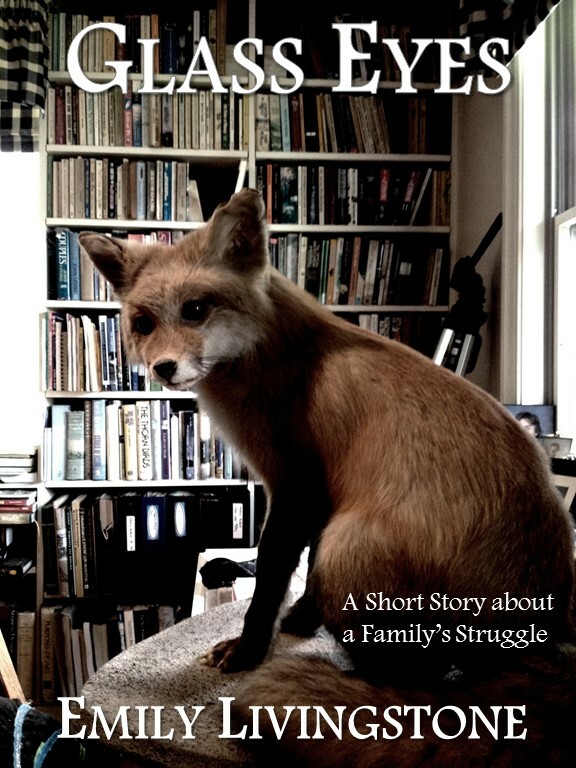 In the midst of her family’s turmoil, Kate finds solace in her grandfather’s upstairs apartment, though she is troubled by the stuffed fox in his bedroom. 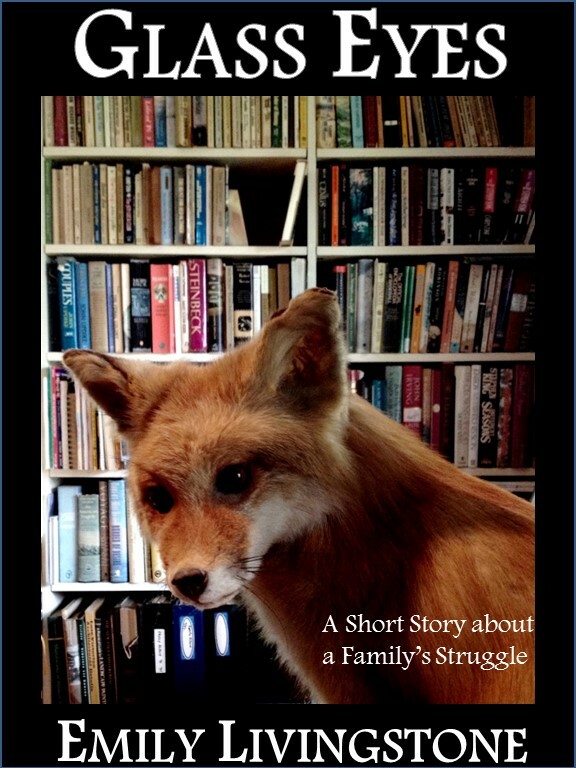 As Kate tries to adapt to the changes in her life, the fox becomes a symbol of what she fears.